The Dixie State University Music Department will host guest pianist Dr. Keenan Reesor as he performs the final recital in the 2016-17 All-Steinway Series and conducts a master class. Reesor will present a master class from 9 to 10:30 a.m. on Monday, April 24, in the Eccles Concert Hall. That evening, he will perform a recital at 7:30 p.m., also in the Concert Hall. Sponsored by Dixie State's College of the Arts, recitals in the All-Steinway Series feature the new Zions Bank Steinway that was donated to the University last June. Admission is free and the community is invited to attend both events. Reesor is a pianist and music historian, equally gifted in both capacities to bring music to life for his audience. As a scholar, he specializes in Russian music and musicians of the 19th and 20th centuries with an emphasis on the music and reception of Sergei Rachmaninoff. Of his pre-concert lecture and performance of Rachmaninoff’s Third Concerto with the New Bedford Symphony Orchestra, the South Coast Today reported that he displayed “depth and erudition ... and the down-to-earth humility and warmth that later infused his brilliant technical mastery of the piano with soul force and heart.” Other orchestras with whom Reesor has performed in recent years include the Cheyenne Symphony Orchestra, the Coachella Valley Symphony, the Downey Symphony Orchestra and the Fort Collins Symphony. He has also appeared repeatedly in solo and chamber recital, the latter with members of the Cleveland Orchestra, the Los Angeles Philharmonic and the St. Louis Symphony. Reesor is a laureate of the Virginia Waring and Nina Wideman international piano competitions, has been a nominee for the American Pianists Association Classical Fellow Award and has been heard on KUSC-FM Los Angeles, one of the nation’s leading classical radio stations. 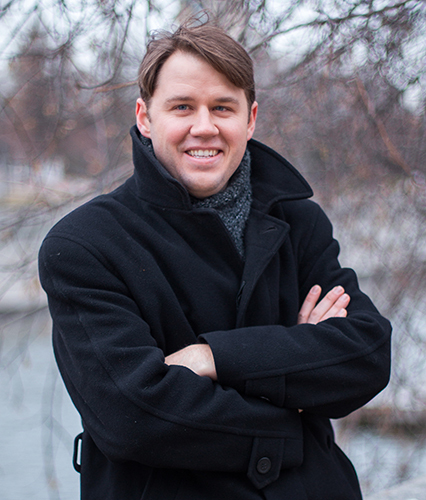 A native of Salt Lake City, Reesor is an assistant professor of music at Southern Virginia University, where he teaches music history and piano. He taught courses previously at the University of Southern California, San Diego State University and Utah State University. He holds degrees in piano from Utah State and USC, where he studied with Gary Amano and Norman Krieger respectively, and a doctorate in musicology, also from USC. He is the grandson-in-law of Maynard and Nonie Sorensen, long-time residents of St. George. Reesor and his wife, Nonie, are the proud parents of four boys. For more information, contact Dr. Nancy Allred at 435-652-7995 or allred@dixie.edu.